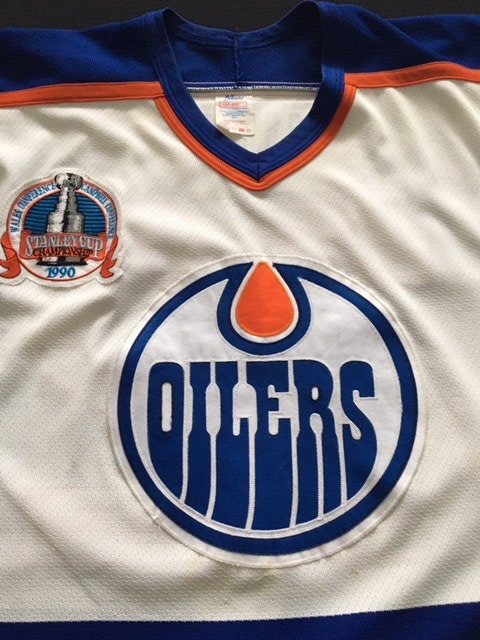 Game Worn Stanley Cup Championship Jersey. 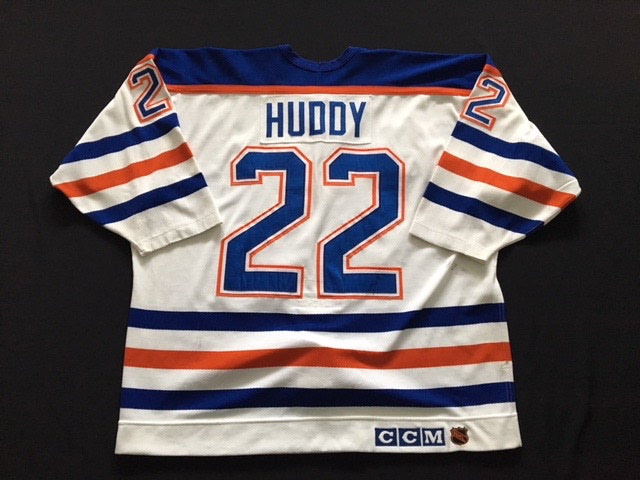 This 1990 Stanley Cup Championship jersey worn by # 22 Charlie Huddy shows the heavy game he played with the arms being riddled with team repairs and the custom cuffs showing heavy pilling from his gloves. As Paul Coffey's defence partner, Huddy played a major role in the success of the team both defensively and offensively. 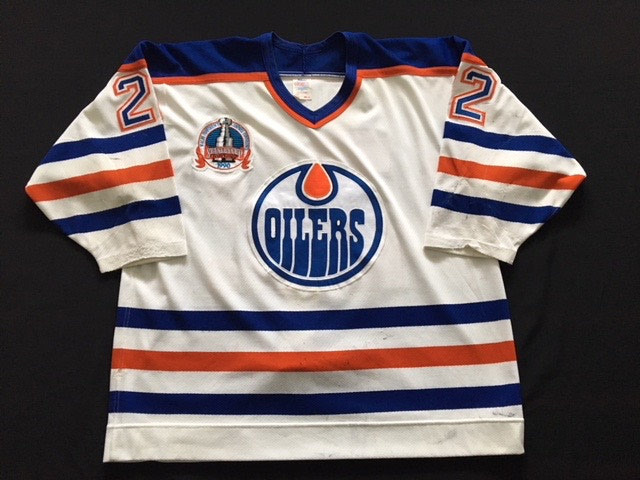 This is a real treat to add to the Edmonton Oilers Exhibit.